For over 55 years, Rich Ford of Albuquerque has had one goal, and that’s to ensure that every person that walks through our doors receives the care and knowledge they need to make the best choice, all at a great price. In order to provide our customers with the superior service that’s become known of Rich Ford, we work with numerous lending sources to get you into the car or truck of your dreams. When you’ve found the perfect vehicle for you, settling for a backup simply won’t do. We’ll utilize every resource we have to make sure that when you leave our facility, you leave with the perfect vehicle that meets every one of your needs. With our vast showroom measuring at 25,000 sq.ft., you’ll never have to worry about not finding the perfect car or truck for you! Our access to an incredible inventory of 13 million new and 3 million used vehicles ensures that we have the precise make and model you have in mind. Not sure what you’re looking for? We have 175 certified employees who have undergone rigorous training to answer any questions you may have to narrow the options down to the ideal vehicle for you. 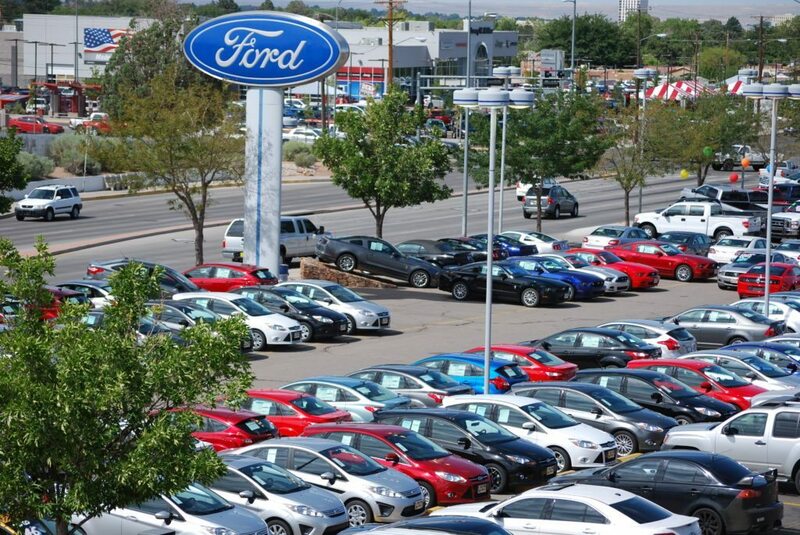 Purchasing a vehicle can be tough, but it doesn’t have to be when you come to Rich Ford of Albuquerque! We all know there’s a lot more to vehicles than simply just driving them. In order to maintain your car or truck’s peak performance, using manufacturer recommended parts can give you peace of mind. Don’t make repairs or upgrades with generic parts! Rich Ford Sales offers OEM certified parts – the very same, first-rate parts your vehicle was built with. Regular service should be at the top of any new or used vehicle owner’s list. Whether you need a routine oil change or a brand new starter, Rich Ford strives to make your experience with us quick, simple, and affordable. When your new car or truck needs maintenance or repair, bring it to the source who knows the most about your Ford – Rich Ford of Albuquerque!